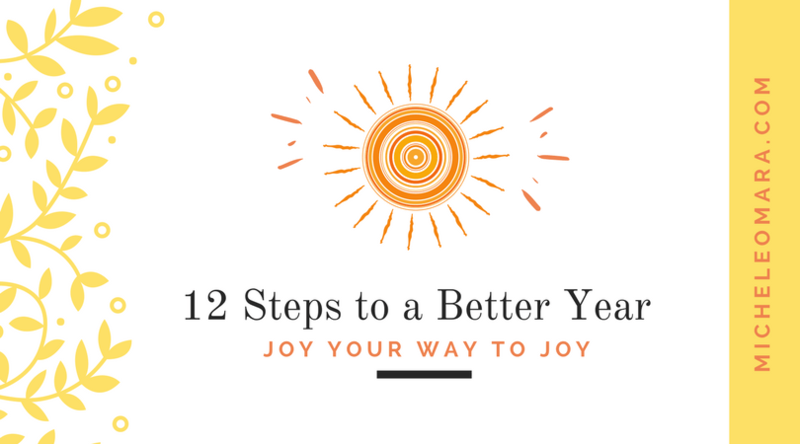 Twelve To-Dos for a better year. ____Make a list of 100 things that bring me joy. ____Tell (email, call, write) 3 people and thank them for being them. ____Learn how to train my mind to work for me, not against me. for Michele’s Brand New class – DML Radically Authentic). ____Do at least one thing from my 100 joys list everyday. ____Give someone a hug everyday (be sure they are consenting)! ____Be more curious, less judgmental. This should get you off to get your life pointed in a good direction, for a better year, starting today.